FERRARIO - [ Cod fishing by the New Foundland inhabitants ]. FERRARIO, G. - [ Cod fishing by the New Foundland inhabitants ]. [ Cod fishing by the New Foundland inhabitants ]. - FERRARIO, G.
Title : [ Cod fishing by the New Foundland inhabitants ].. 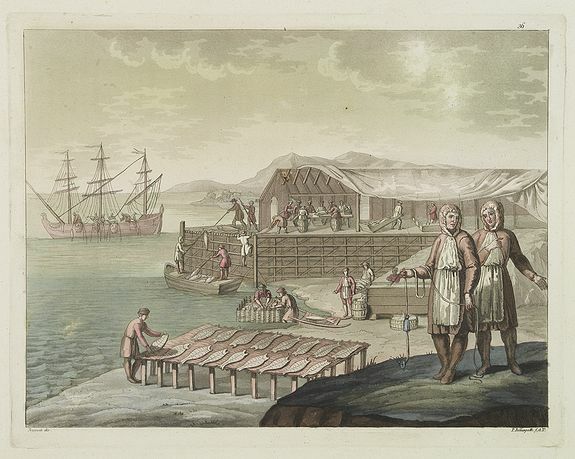 Description :Aquatint depicting Cod fishing by the New Found land inhabitants engraved by Fumagalli. Plate N°36.